Yes, what a mixture! 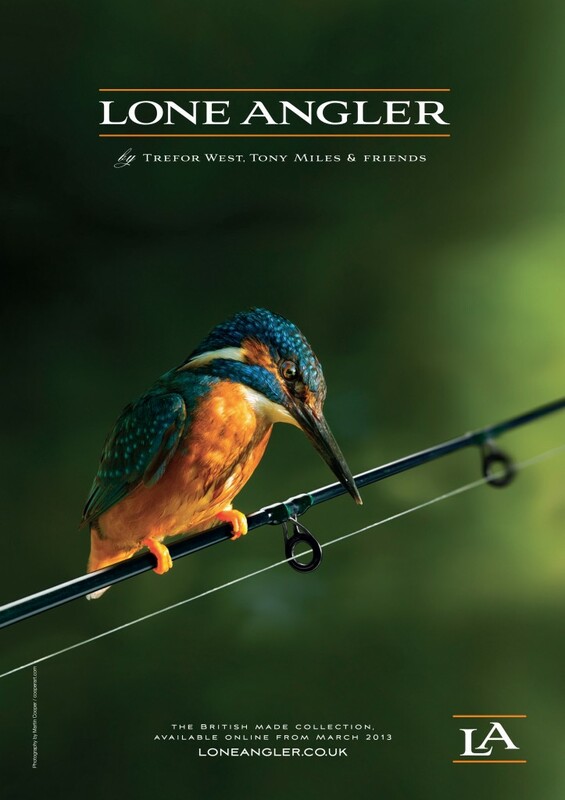 I had arranged to meet some of my fellow Lone Angler and Pallatrax team mates on the banks of the Wye for a few days. However things started to look a little unlikely having suffered with a dire bout of food poisoning a few days before the trip. Despite feeling dreadful I decided to go anyway and in all honesty suffered for that decision. However I arrived around 6pm and there was Lone Angler’s team boss Jez Brown ready to greet me. Also there was Geordie Ray Pulford and David Lidstone both Pallatrax team members. David runs the highly successful Emperor Lakes in Devon. 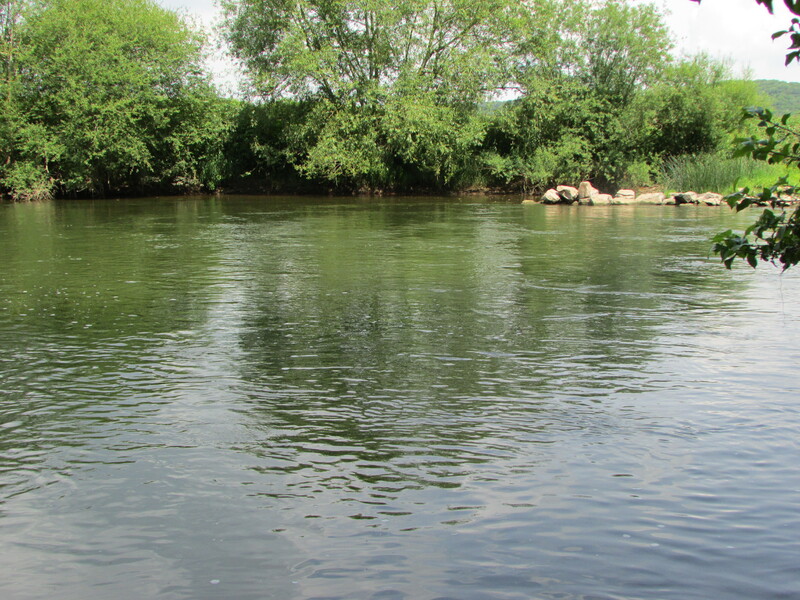 After a quick chat Jez and I headed downstream and we set up the float gear to try and tempt a barbel or two. This was a two man job to be successful. Initially I would fish whilst Jez did the baiting. On every trot through Jez dropped 3 or 4 LA squabs right on the float. We were both wading and I was casting across to the other bank. Jez’s catapult technique was a work of art and it soon paid dividends. The float plunged under and a powerful fish fought for freedom. I soon had a nice tally of chub under my belt including a number of fish well over 4lbs. These are big, chunky man’s chub here on this part of the Wye and they really are impressive fish. 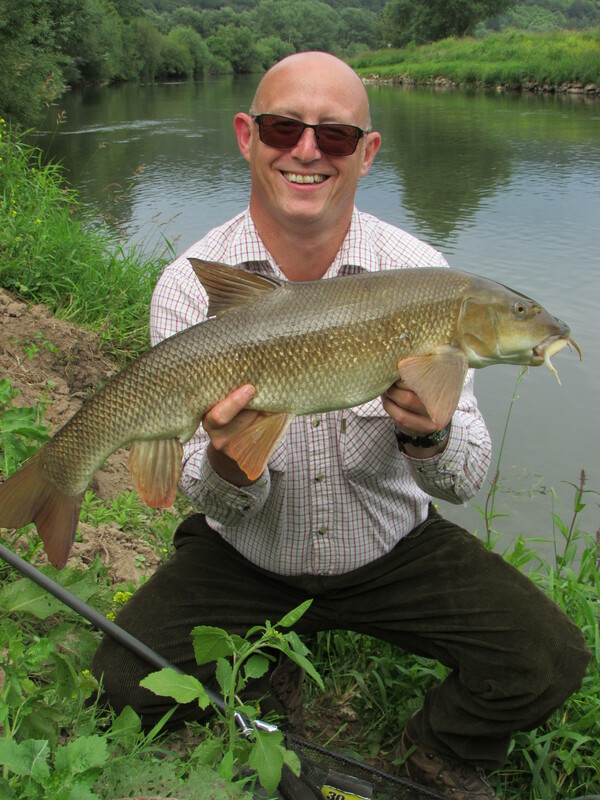 It didn’t take too long to hook a barbel which fought like stink, only to find it was hooked in one of it’s pecs! It was time for a role reversal and so Jez took control of the float rod and I displayed my own expertise with the catapult! “Well there’s no need to be rude Jez” I said. Still despite my efforts, he was soon into a few fish including a nice 7lb barbel. After that I dabbled with a fly rod and then a spot of freelining all with either sausage sizzle, cheese mania or ocean pride squabs. The squabs can easily be fished directly on the hook with some careful effort and are perfect for float fishing. The chub and barbel really seem to go for them. Its a great way to fish and each capture is very rewarding, particularly in the flow. The following day I was joined by my good mate Danny. 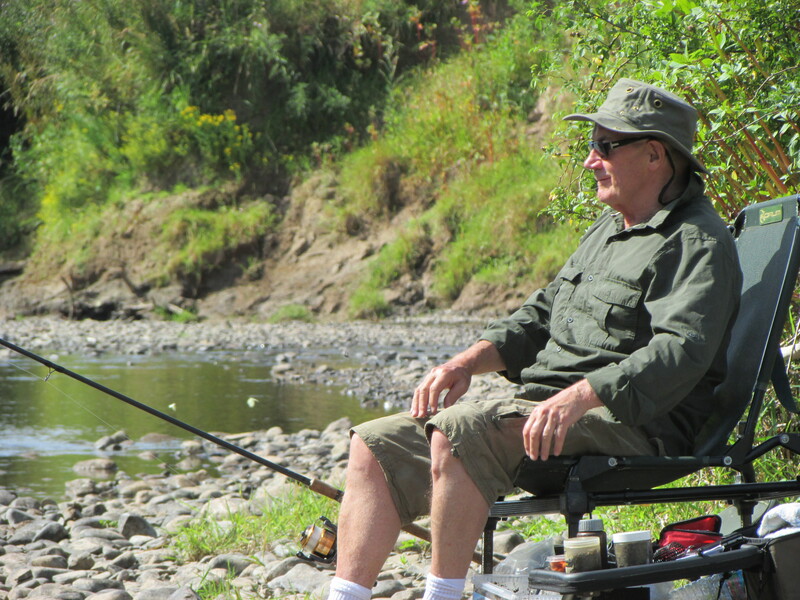 We headed downstream to fish off of a shallow beach and spend some time trotting and then moving on to feeder tactics. We waded out to waist deep water and were soon into a few fish. They all turned out to be good sized chub with me losing the only barbel on float tactics. After a few hours we decided to take a rest and sit down and feeder fish. It was incredibly warm, although overcast and the humidity was seriously draining me. I had to retire to my tent for a couple of hours sleep. The effects of the food poisoning were still leaving me with little or no energy and feeling generally unwell. After a rest we fished on until around 7pm before heading off to the b&b and dinner. The fishing had been pretty slow in all honesty. I think I had 4 barbel and certainly a dozen chub with a couple close to 5lbs. Danny also managed a few nice fish. 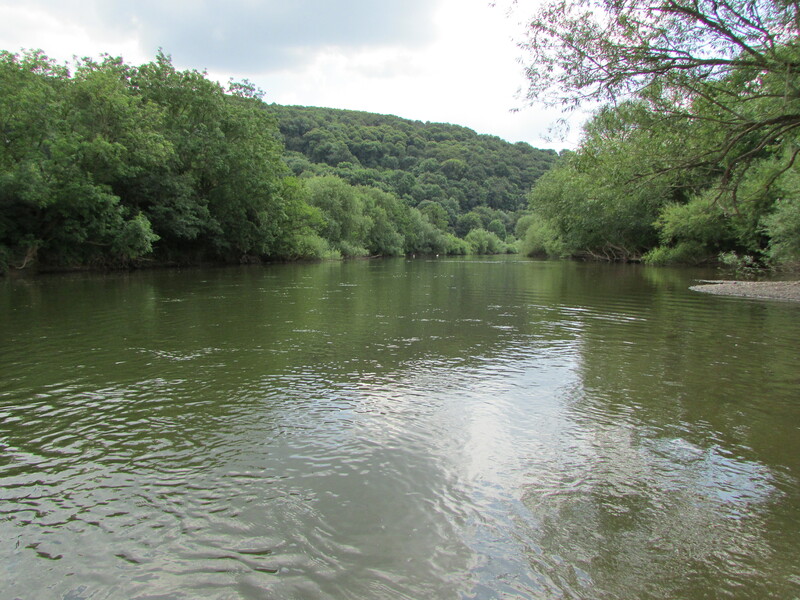 This area of the Wye is stunning and it’s just a privilege to be able to fish here. The following day we returned and fished the top end of the beat. We fished into a deep gully on the far bank and my rod hooped over almost immediately. Two barbel later all went quiet. By now the sun was up and the heat was becoming unbearable. I wandered off and tried a few other spots before grabbing the float rod and taking a brace of 5lb chub. Dan managed a few barbel too and a couple of chub but by around 2.30pm the sun was beating down relentlessly and I was still feeling ill, so I decided to call it a day and head the 180 miles home. We’d had a couple of nice days in good company and I can’t wait to get back but hopefully after we’ve had some decent rain and a drop in temperatures. Ah good old Frankie Howerd and Up Pompeii….Pompeii, Salute, naughty, naughty, Up Pompeii. Sorry, very self indulgent! I spent a couple of days on a local river, new to me this season. Its a small and intimate river with boundless twists and turns, overhanging tress and a great variety of depths and flows. 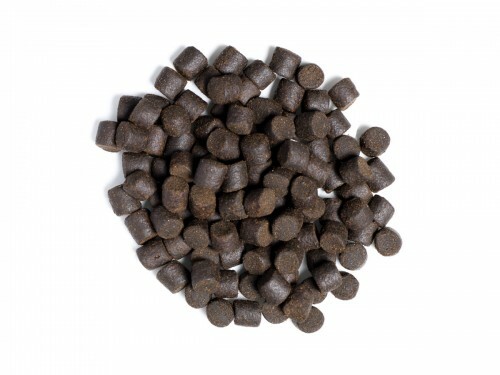 Having done so well recently on the Lone Angler Caviar pellets, I decided for the time being to stick with them as feed and hook bait. I like to feed a mixture of 6mm and 8mm, not too much mind, just enough to get a fish or two foraging for them. I found a cracking little swim below a small weir where the river narrows and flows past lots of overhanging trees. It screamed barbel. I opted for a 3 foot hooklength made from coated braid and a size 10 hook, although sadly not my normal make. About half an hour prior to casting I put out a small handful of the mixed Cav pellets and then set-up. I crept down the bank and swung out the rig to the far bank, letting it swing down slightly into the flow. I kept the rod top low to the water and sat back to wait. “Hmm perhaps a coffee would go down well” I thought. I turned to grab the flask and heard my ratchet go on the reel! I quickly turned back to find the rod with an alarming bend in it. Grabbing the rod I pulled into a very powerful fish. I managed to keep it out of the trees opposite and it changed tact by heading upstream. It was a very powerful fish. Under pressure from the rod, the fish rolled on the surface three times just in front of me and I could see it was a nice double. As the barbel dived again everything went slack; the hook had pulled! “Oh what a hoot” I thought! The hook appeared to be OK, although slightly smaller than I would have preferred (I really must re-stock on some decent hooks), but showed no signs of the point turning over or any other anomaly, so I guess it was just bad luck. I did notice however that there was quite a bit of weed on the hook and bait and as further events unfolded, I began to realise the significance of this problem. I decided to move after another hour when no more action materialised. I headed up into a small weir. I leaded around the swim to check depths and soon found a few areas to try. 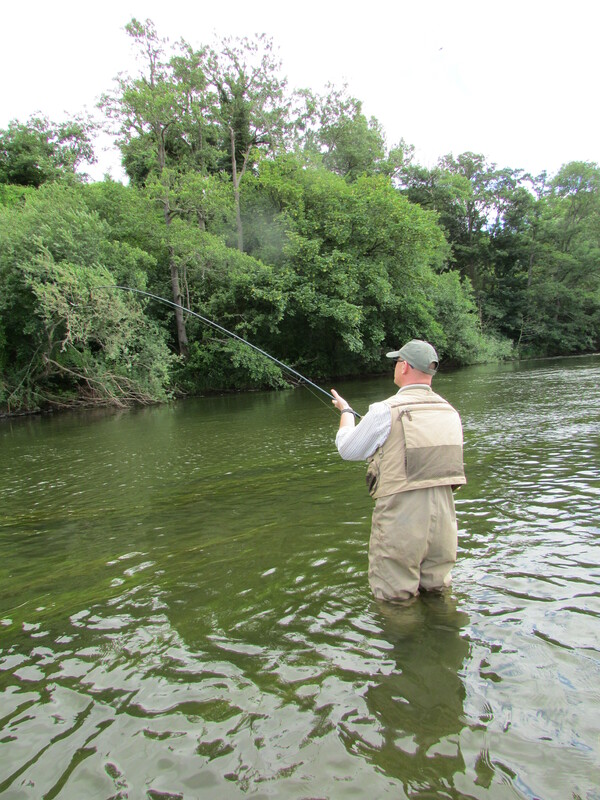 Eventually I fished downstream of a large tree in the water and soon the rod top ripped round. Initially I thought I was into another barbel but sadly not. It turned out to be a small carp of around 6lbs. A welcome fish but not quite what I was after. Soon after that the tip yet again whacked round and this time a barbel was on. After a spirited fight I drew the fish towards the net when yet again the hook pulled. This was getting tiresome. Again the hook was covered in weed, as it often was today when I reeled in. I realised the weed was probably prohibiting the point from penetrating cleanly and resulting in poor hookups. 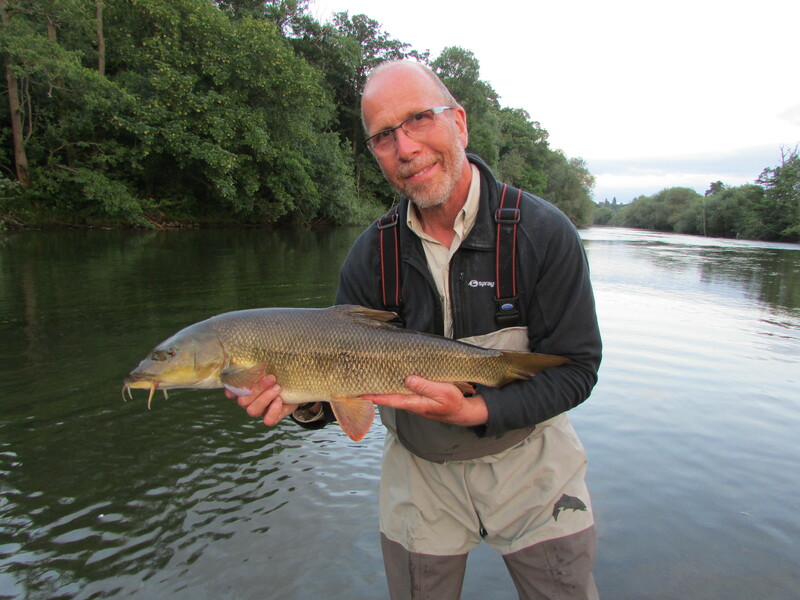 It was very disappointing to loose another barbel and I hoped for a final chance as the evening wore on. Luckily the opportunity presented itself again and this time I succeeded in netting a barbel of around 61/2lbs. The following day we returned. The flow of the previous day had eased and the colour from the river had dropped out slightly. In all honesty it looked less inviting. Today I wanted to rove a bit more and try and explore much more of this delightful river. So a few swims were visited throughout the day, which is useful to build up a picture of the river in terms of depth and what type of bottom structure is present. There appeared to be plenty of gravel which is very encouraging. 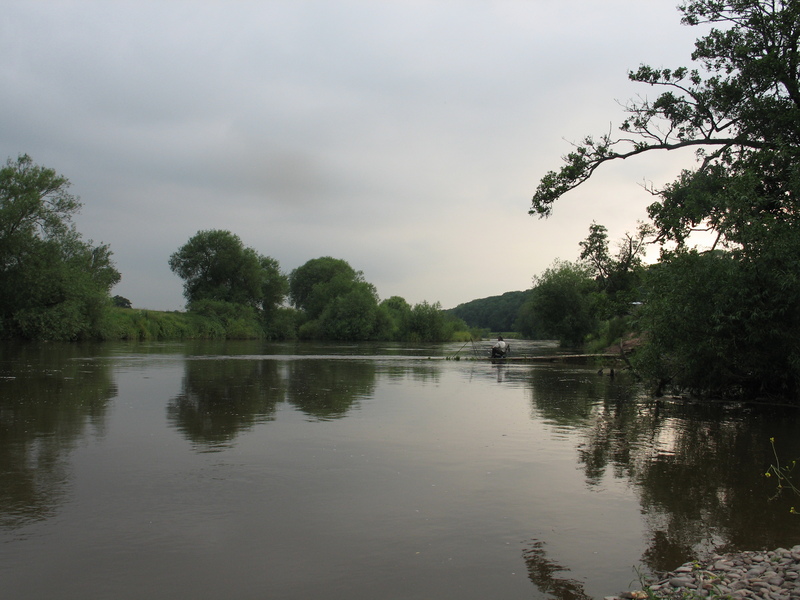 The river has lots of deep runs and holes to explore and so much cover in terms of fallen trees and other inviting features to fish. I dropped into a swim with a fallen tree lying in the water and a really good flow pushing into the snag. I baited up with a few pellets and dropped in a baited rig. I started to get a few knocks and then a constant tap, tap, tap indicated something had hooked itself. I was delighted to see a flash of silver as a fish turned in the water on reeling in. 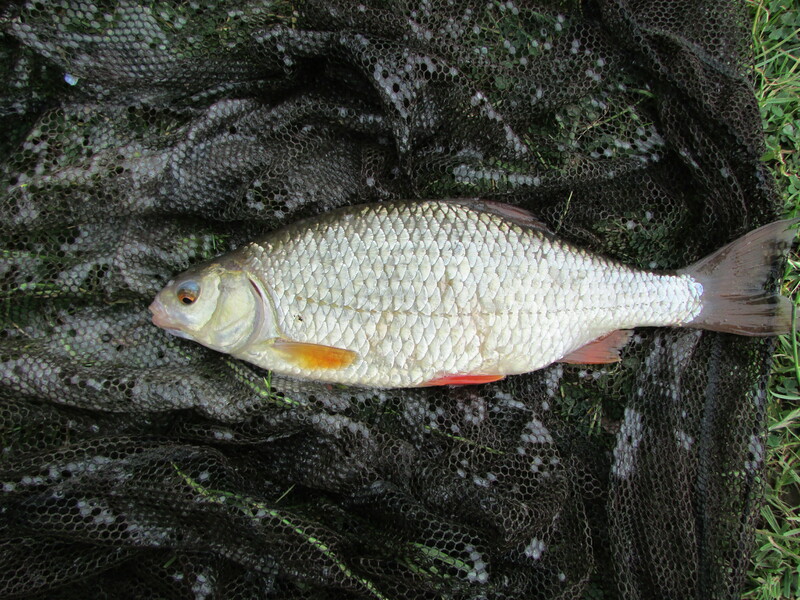 It turned out to be a lovely roach of 1lb 10oz and bodes well for some winter roach fishing. “Oh shut yer gob” as Frankie would say! It was that time of the year again. The new river season having just passed its first fortnight, it was time to head to Ross on Wye for some early season barbelling. 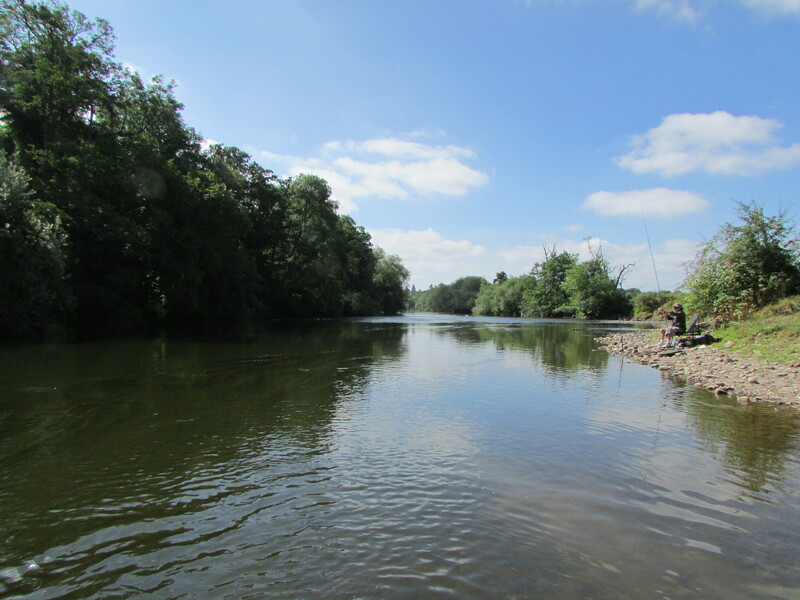 It can be a bit of a lottery when it comes to river conditions on the Wye. It can be low and clear or carrying 8 foot of extra water if it’s rained up in the Welsh mountains. On our arrival this time we found the river looked pretty good. There was a touch of colour and a sensible summer level. So we’d struggle to come up with any excuses for not catching, judging by these conditions. After setting up the caravan we managed to get down to the river around 4pm. Due to a mix up over the booking we had to fish the lower field at Whitehouse, which we hadn’t really fished before. The depth was a bit lower here and normally very weedy. I think the huge floods over the winter have really scoured the bottom of weed growth, as this year there was only minimal weed showing. I had decided to try out Lone Angler’s Caviar Pellets in sizes 8mm and 12mm as hookbaits and to also mix them into my groundbait. I use a 50/50 mix of the LA groundbait and a hemp and halibut one. Into that I add a liberal amount of 4, 6 and 8mm pellets. 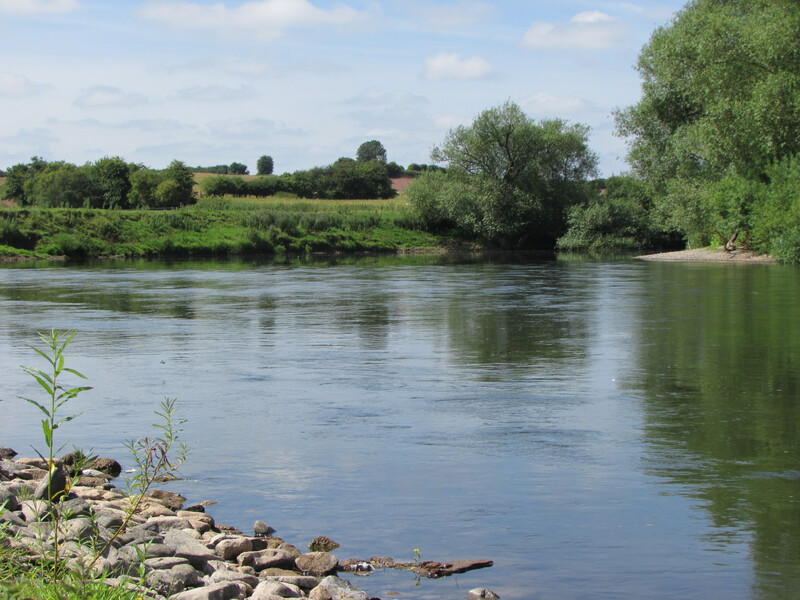 I firmly believe you need to feed the right amount of bait into a big river like the Wye to draw the barbel in and keep them feeding in your swim. Most people don’t feed enough in my opinion, not that I’m advocating piling in kilo upon kilo of pellets either. I certainly wasn’t going to pin my hopes on just one particular bait and so had a number of other options at my disposal. As it turned out I needn’t have worried! Initially I started on the straight lead as I knew there was weed present. After an hour of no action I opted to swap to a cage feeder packed with the groundbait and pellet mix and use 2 x 8mm caviar pellets on the hook. The results were instant. 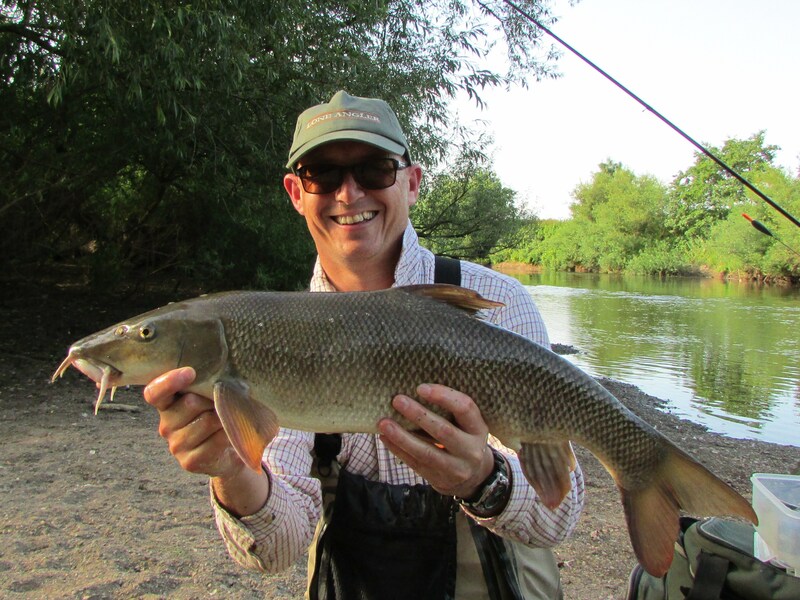 Within a few minutes the rod hooped over and a feisty Wye barbel was netted. I packed up at 9pm but not before securing a further 12 beautiful barbel and a few chub. It seemed that the pellets were to the barbel’s liking. 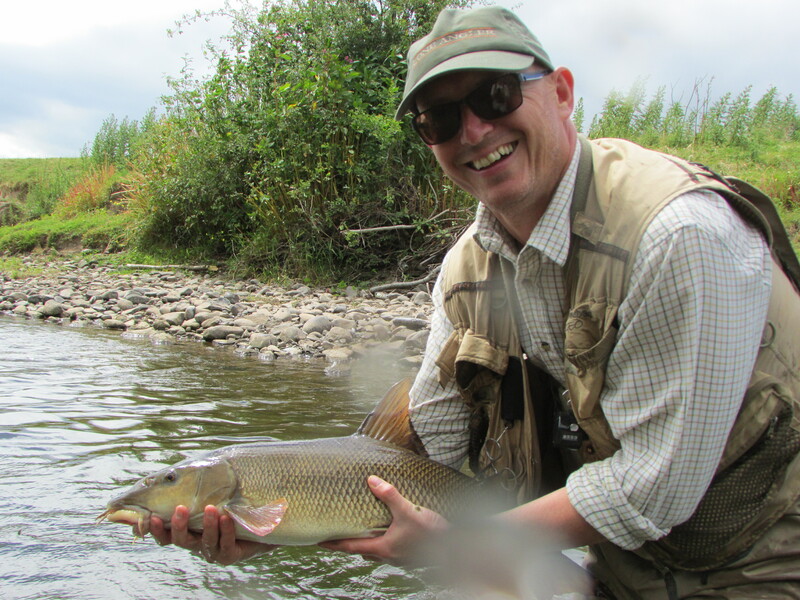 Geoff was fishing around 6 yards below me and only managed a solitary barbel. Meanwhile Kevin was about 15 yards above me. Having watched me catch a few, he asked to try a few of the pellets and ended up with 3 barbel! Geoff was convinced it was just that all of the barbel were in my swim and so we swapped places. 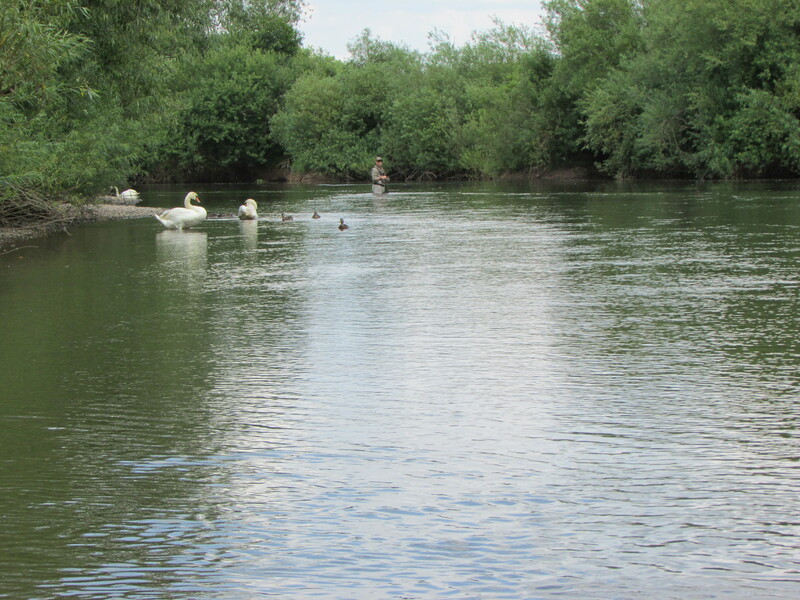 I bagged two barbel in his swim but sadly the fish had vacated my swim by then and it failed to produce. So a big thumbs up for the pellets on this first session. The second day saw us on a new beat at Lower Hill Court. 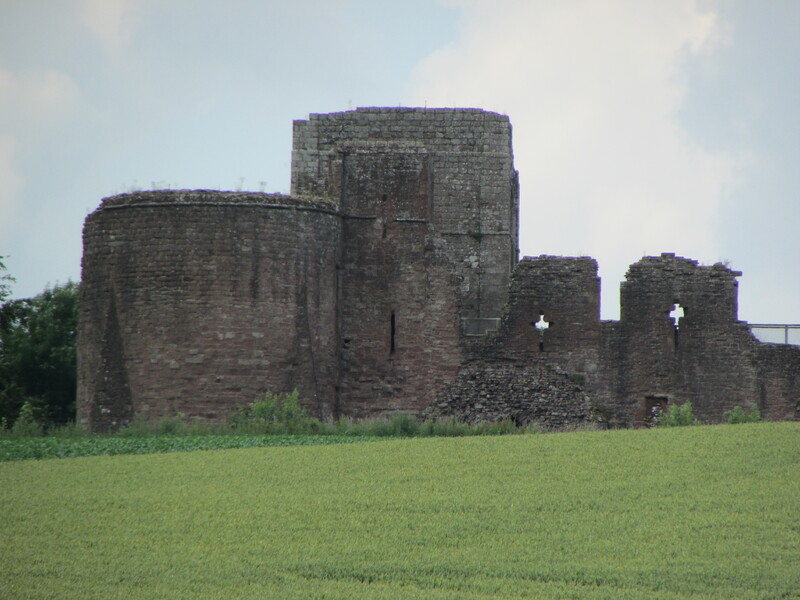 What a stunning place this is; heavily wooded banks thick with foliage and a back drop of Goodrich Castle. The beat was around 2 miles long and had a really good variety of water. There were some lovely gravel beaches to fish from around half way along, where with waders you could trot the far bank. Both Kevin and I opted for this method and soon were catching chub and dace. 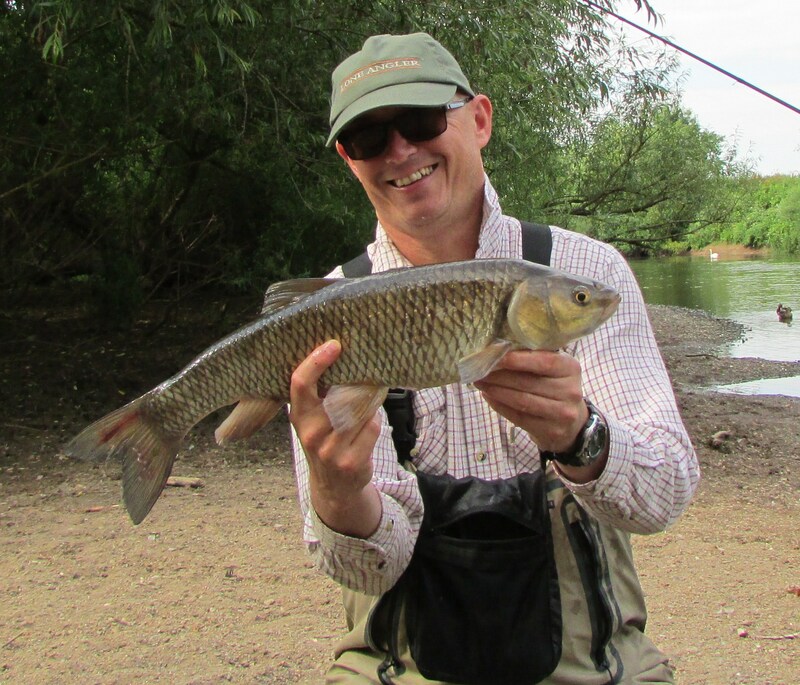 Kevin eventually latched into a barbel and netted a stunning fish of around 5/6lbs. Sadly I couldn’t tempt a barbel on the float and so decided an afternoon nap was in order! With Red Kites, Buzzards and a plethora of other wildlife surrounding us it’s not difficult to feel like you’re the richest man in the world to be lucky enough to experience places like this. We are so lucky to be fit and able enough to indulge ourselves in such pleasures. Geoff had wandered to the upper limits of the fishery and was fishing from a croy. There was a deep run on the inside but it didn’t seem to produce anything and so he cast right across to the far bank. This made all the difference and he was soon into some barbel. Not one to miss out, I set up the barbel rod with a cage feeder and this time 2 x 12mm caviar pellets and was soon fishing the opposite bank. I like to use a 3 foot fast sinking coated braid hooklink and a barbless hook. Generally I use the Pallatrax ones as they are extremely strong and a nice pattern. 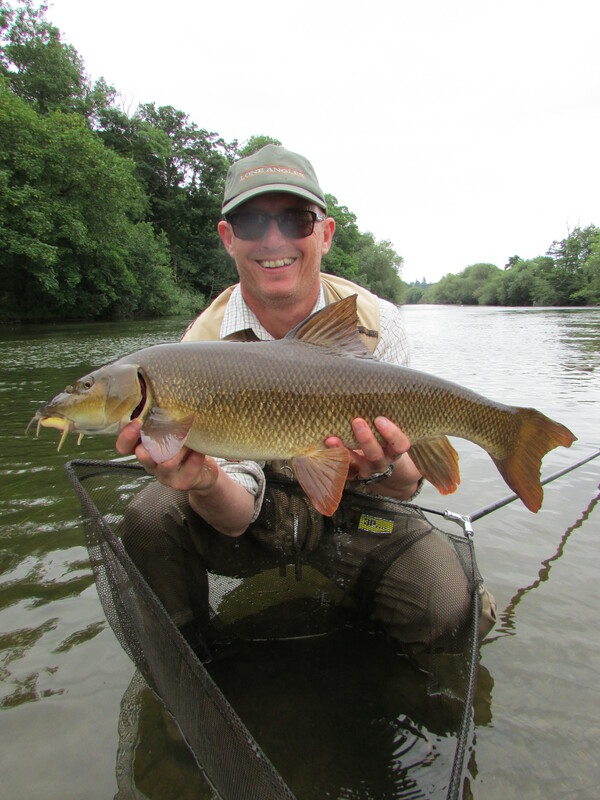 The results were immediate and I ended up hooking 11 barbel and landing 10, along with around 14 or 15 chub. Kevin was having a chub fest and took nearly 20 plus 5 barbel. Geoff just piped me with 11 fish, one of which went 9lb 11oz. What a cracker. We will certainly be back to this beat as it’s just such a stunning spot. There was so much variety as I said and access is brilliant, you can drive right along the banks of the whole stretch. The only downside were the number of accessible swims, with only around 6-8 being feasible to fish. When you’re on holiday you don’t tend to pack strimmers, machetes and the like, so I’d like to see the owners or the Wye and Usk just add a few more swims. 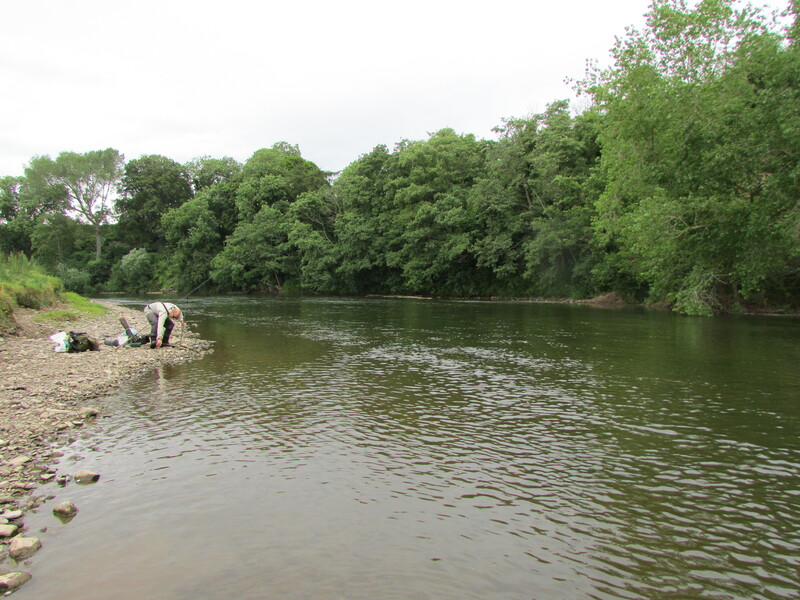 The following day saw us on another new Wye and Usk beat; Fownhope 5. 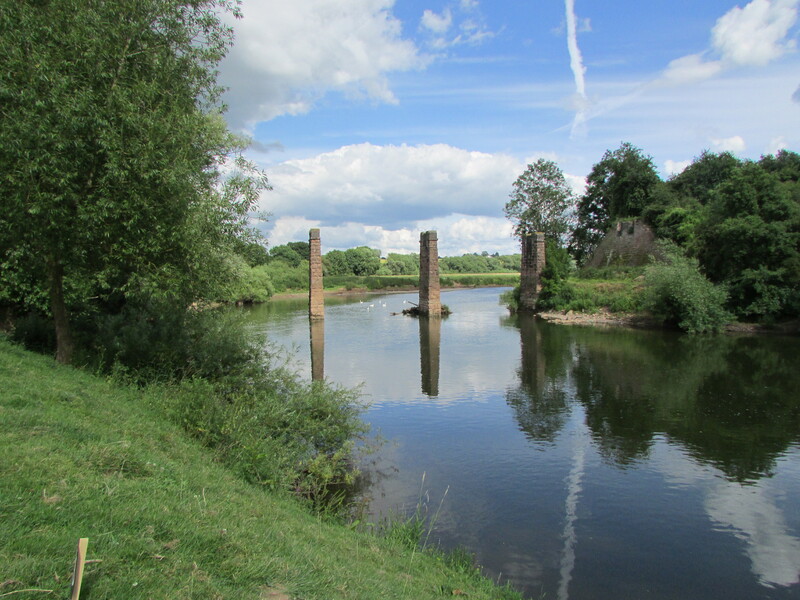 This turned out to be another stunning part of the Wye. On the downside it did involve a massive hike up and over a mountain, well OK, a hill. But believe me with all of my fishing tackle on I did feel like Sir Edmund Hillary climbing Mt Everest. At one point you climb up some steep steps and find yourself in someone’s garden! The owners were enjoying a lunchtime coffee overlooking the magnificent Wye below. Wow what a view they had. Still they had one to remember now; me loaded up like a Sherpa with sweat pouring off of me and me huffing and puffing as I pulled myself up the steps. I just about managed a “good afternoon” although I’m sure it sounded inaudible due to my physical exhaustion at this point! Anyway they told me I was going the right way and looked with a raised eyebrow at all of the gear I was carrying and said just keep going up! “Up?” I said. Crikey this must be heart attack hill. Sadly they neither offered me a cup of coffee or to help me up with the tackle and so we parted company. Eventually I made it to the top and the walk down to the river felt like a blessing. Still now I had to make my way through a heavily wooded hillside before eventually clambering down a steep bank to the river. Then I had to traverse my way along rocks and boulders that were strewn along the bank, before eventually finding a swim about 50 yards below a huge boulder weir that crossed the river. In front of me was a gully cut through the bedrock and looked to be around 4 feet deep of smooth water. I was cut, bruised, stung and generally exhausted but excited at the prospect of fishing such an enticing looking swim. I cast a lead around and it seemed relatively clear from snags. Oh, sadly not though, as I was to find out. I have to say at this juncture that I’ve never had such a hectic days fishing as I did this day. From the minute I cast out to the last cast, the rod top never stopped knocking, tapping and whacking round. It was unbelievable. They were even taking the bait on the drop. I lost countless fish to hook-pulls and some snags and I missed a horrendous amount of bites. I think sometimes they were actually grabbing the feeder and giving false bites. There were more snags than I originally thought but luckily they weren’t a constant problem. 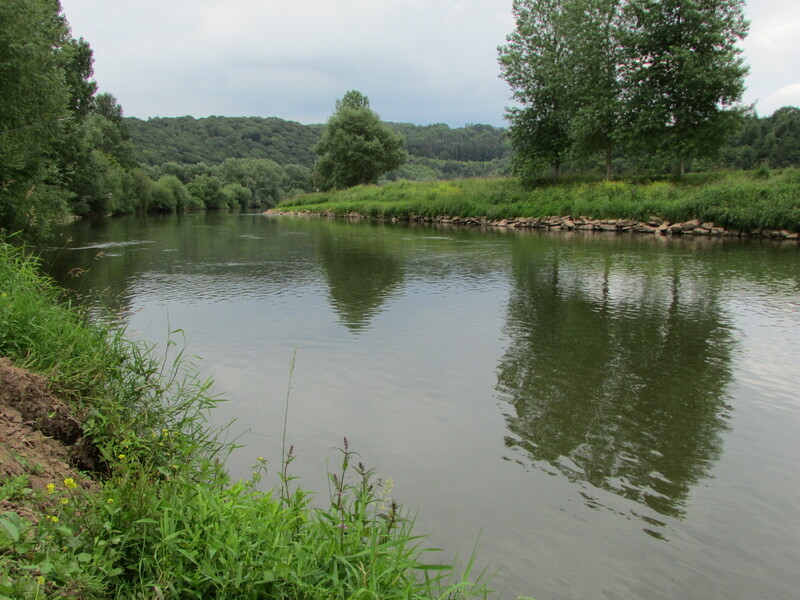 By the end of the day I’d landed 9 barbel and somewhere in the region of 30-40 chub. Most of the fish were 3½ to 4½lbs but I had a couple that may have gone 5 but didn’t weigh any. The barbel were all around 6-8lbs and I weighed one which went 7lb 14oz just to give me a benchmark to judge the weights by. 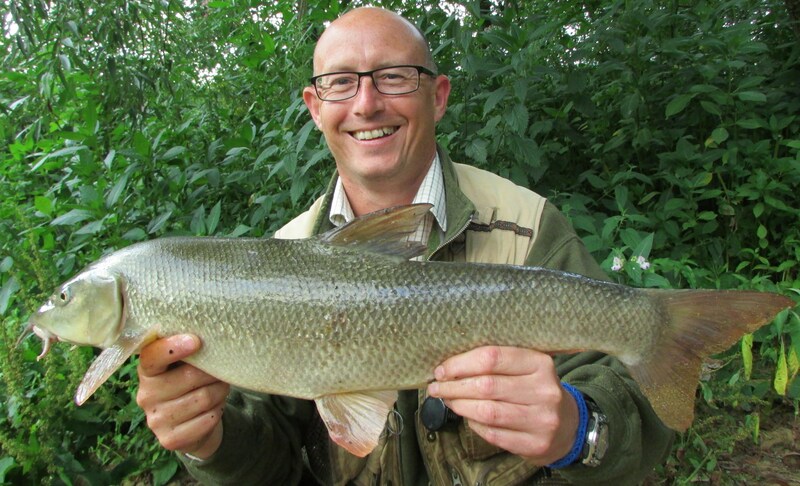 These Wye barbel look huge but they are lean and muscular with massive heads and mouths. It’s very easy to misjudge the weights. Meanwhile Geoff and Kevin were struggling. I think they’d had a chub each. Towards the end of the day they tried my swim and both lost a couple of barbel and so at around 8pm I called it a day. It took me over an hour to work my way back along the bank, through the woods and over the mountain to get back to the first field. I was cream crackered, however what a great day. I’ve never experienced so much intense action before. 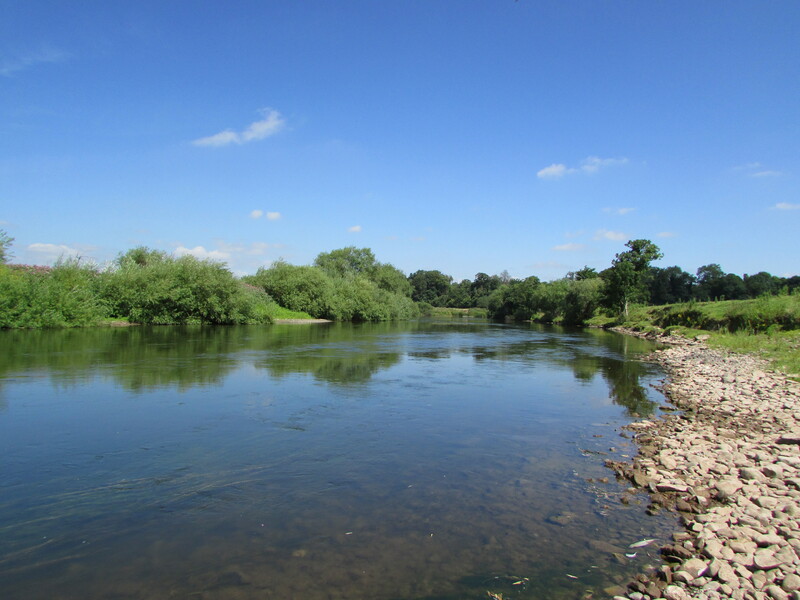 What a river the Wye is and combine that with some of the finest views and wildlife you’re ever likely to see and its little wonder this is such a popular destination for anglers, walkers, birdwatchers and canoeists alike. The late nights and early mornings certainly take their toll and the fresh air and sunshine seem to add to the morning lethargy. Throw in three blokes all trying to shower, make flasks and sandwiches, sort out tackle etc. etc. first thing in the morning and its not difficult to see why we never get fishing until lunchtime. Mind you we also like to stop for a nice cooked breakfast somewhere too. On this 4th day of our trip we would be heading above Hereford, so it was a good opportunity to drop into Woody’s after breakfast first. We restocked a few provisions like feeders and after a chat with the man himself, we headed off to our destination for the day. It took us a while to find the stretch but once we were bankside we were greeted with one of the most stunning sections we’ve ever fished. The great thing was the variety of water on offer from deep water and shallow gravels to deep bends and gullies. We even had some lovely deep glides on the nearside to fish and with waders we could do a lot of trotting if we wished. We spent some time walking the banks and admiring the views and also the isolation of this place. You could stop and listen and all you could hear was birdsong and the occasional canoeist. It was amazing. After a long recce we all had a spot or two in mind to fish. Geoff headed off downstream to fish the deep gravel margins. Large overhanging trees offered dark shadowy cover for the fish. It looked perfect. Meanwhile Kevin and I fancied an area just down from a horseshoe bend where the shallow weedy water dropped into a deep gully on the far bank. 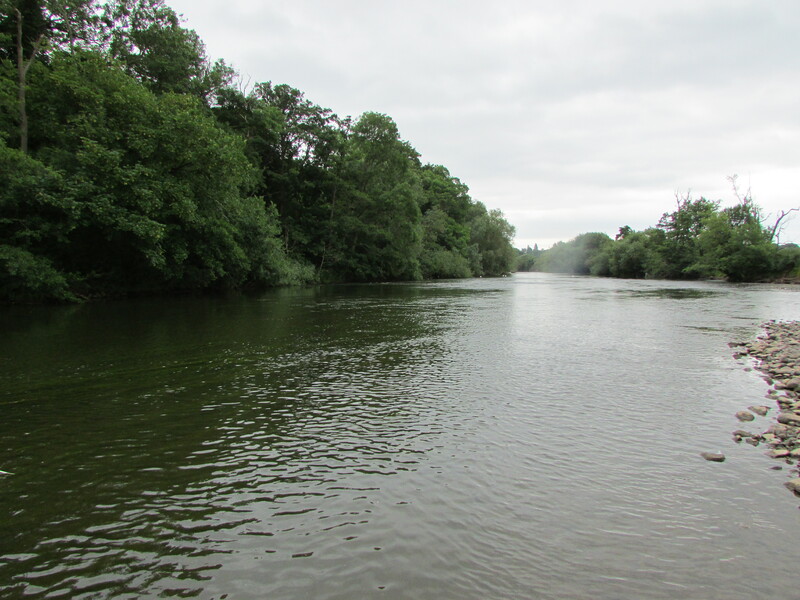 Once again there were lots of bankside cover and an almost sheer cliff face opposite where large trees and bushes offered cover to the resident barbel and chub. 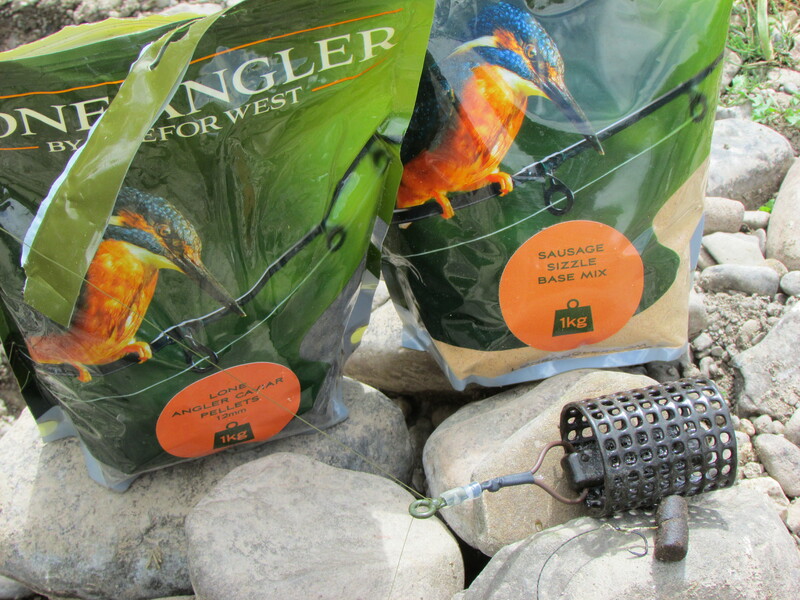 I opted for the usual practice of feeder and pellet hookbaits. I varied them as I had all week, from double 12mm or 8mm pellets to single banded ones. If the bites slowed up and I thought fish were present (often receiving sharp short knocks on the rod top indicate barbel not just chub) then I would change tactics and alter the bait presentation. Sometimes it works and sometimes it doesn’t. A couple of friends were fishing a particularly productive beat recently and were really struggling for bites. I suggested they use two very small elips pellets on the hair, the smaller the better. The change was as instant as it was dramatic. They ended up catching a shed load of barbel that day, so it’s worth making the effort and changing if you feel you should be doing better than you are. The deep gully ranged from around 8ft down to about 4ft for about 10-15 yards. It was a little snaggy but when aren’t there some nasty snags on the Wye. It can be a tackle graveyard sometimes. Kevin waded out and fed his top area of the swim with some bait whilst I dropped the feeder out on a regular basis to keep the bait going into my bit. Kevin was in almost instantly but the barbel headed into something nasty and the hooklink was severed about halfway up. He soon had a chub on and things were looking good. I had settled for the shallower area downstream a few yards. 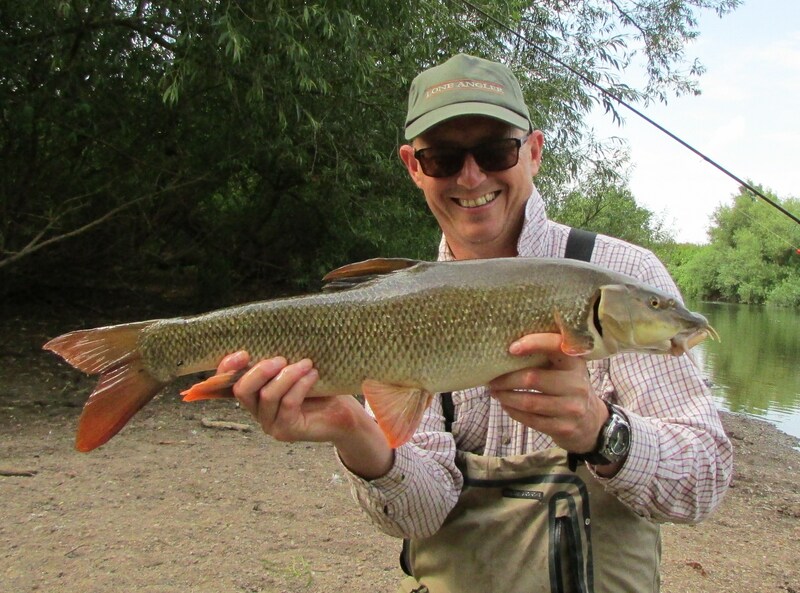 Bites were slow coming but soon the rod top whacked round and a stunning barbel was landed. The fish here are a very good average size and the colours are fabulous. 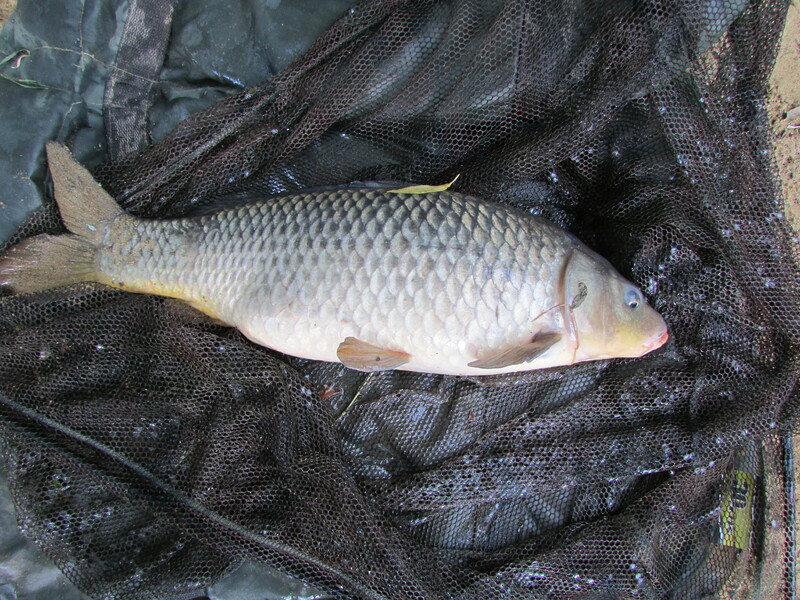 The chub are real bruisers too; thick set and strong with a really good average weight. Soon I was catching chub and barbel quite regularly. Kevin lost another barbel and was catching the odd chub. 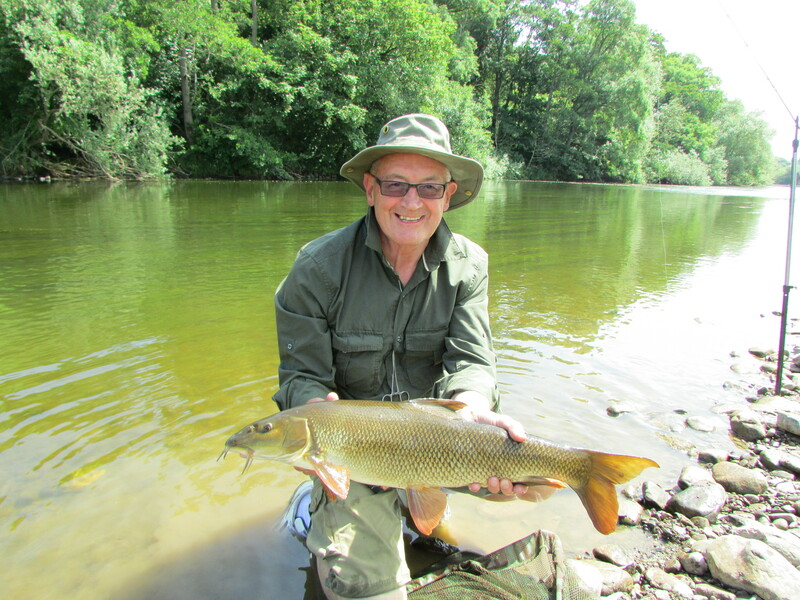 Geoff also reported success with several good sized barbel and chub coming from his area. He decided to stick it out there all day and ended up with a number of chub and 4 barbel. At the end of the day I had taken 18 barbel to 8lb 8oz and maybe a dozen chub to nearly 5lbs. Kevin seemed to be very unlucky loosing a number of barbel but he did eventually manage 1 or 2 and plenty of chub. We swapped around to make it fair but Kevin was reluctant to give up on his swim without giving it everything. It was strange that there weren’t more fish in his deeper area; they all seemed to be just a few yards further down in the shallower bit I was fishing. Still we’d had a wonderful day and felt very privileged to have fished such a stunning venue. I’m really looking forward to exploring this section again through the summer, there’s just so much to go at here. On Friday we were fishing Sugwas Court which again is above Hereford, so another trip to Woody’s was in order after a good, hearty breakfast. We have fished here once before with limited success. Kevin fished an area Woody had suggested but we struggled to find the deep gully mentioned. Geoff and I just went for a wander and found a couple of swims that looked good. Geoff moved a few times during the day and I had picked a second swim to fish, if the first failed to produce with an hour or two. I think if you haven’t had any indication within about an hour on the Wye you are better off moving. If the fish are there you’d know about it within that time frame to be honest. I had found a really deep marginal swim. Above me was a much shallower area that then dropped down to around 6-7 feet with trees to my right. 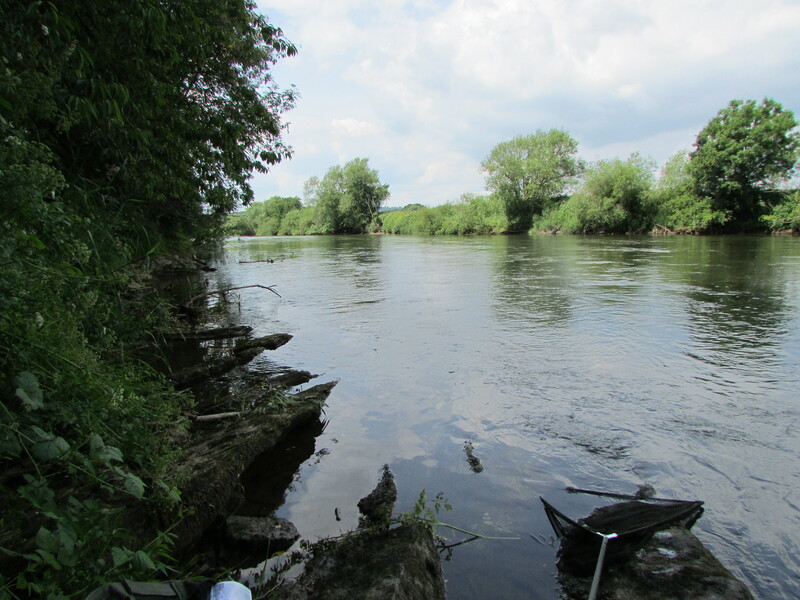 I started off fishing downstream but that failed to produce any knocks within the first 30 minutes and so I opted to fish upstream to the edge of the overhanging trees. 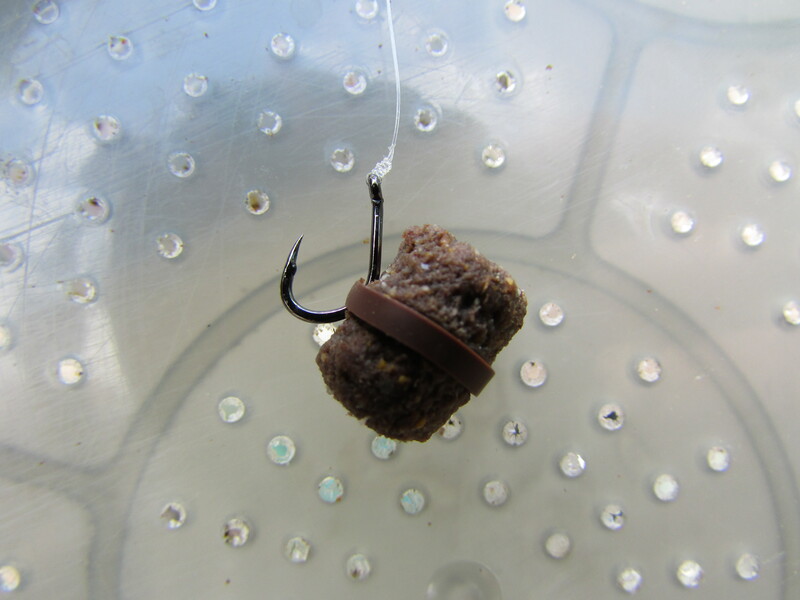 The result was almost instant and after maybe 2-3 minutes the rod top whacked round. 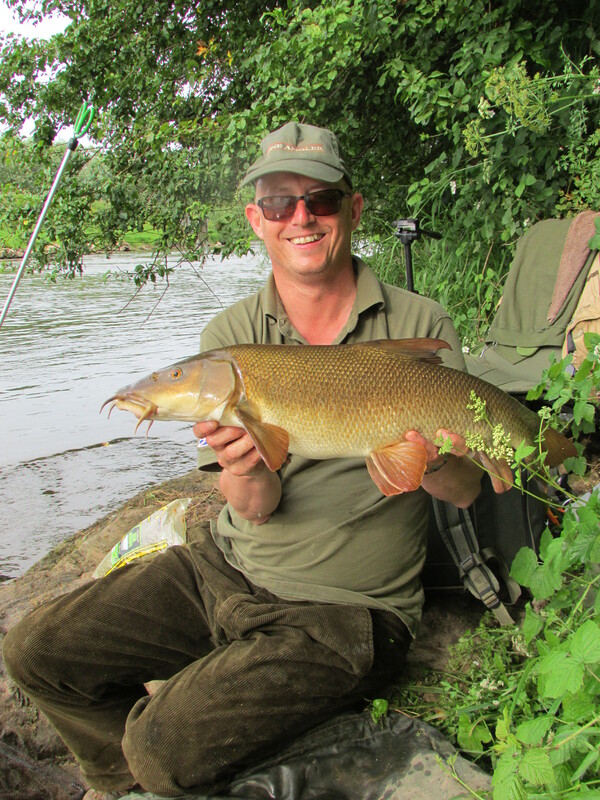 The result was a barbel just under 8lbs and another followed almost immediately after. Geoff and Kevin hadn’t had much action but at least knew the barbel were feeding. I stuck with this swim for the remainder of the day. The fishing was slow but followed a strange pattern almost without fail. I would get two bites together within around 5 minutes of each other and then it would go quiet for some time. Sadly I lost a number of fish but ended up landing 9 really nice barbel. Geoff had a few and Kevin a couple of fish too. Part of me wanted to walk up to the second swim to fish which involved wading downstream to enable me to fish a deeper run. Still I’d caught a few fish and left quite happy. Normally we would be heading home on the Saturday morning but all three of us were taking part in Andrew Poole’s ‘Bag a Barbel Let’s Beat Cancer charity event at Wyelea over the weekend. A report on that will follow.